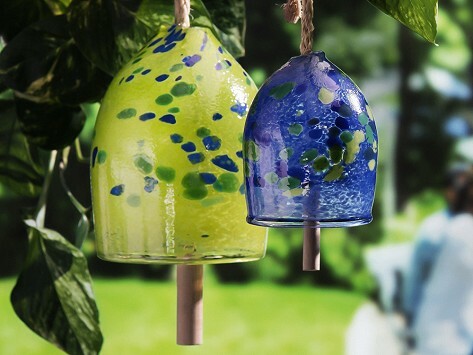 Add a touch of magic to your backyard with these hand-blown glass garden bells. 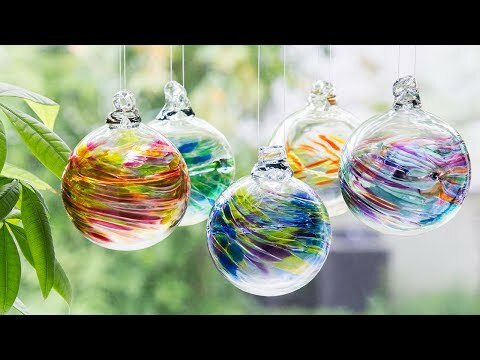 Whether you hang them from a tree or bring them inside, when sunlight hits these delicate bells they give off a lovely, colorful light. Dimensions (in packaging): 4": 5.75" x 5.75" x 5.75"; 8": 15" x 6" x 6"
Weight: 4": 0.17 lb. ; 8": 1.02 lb.